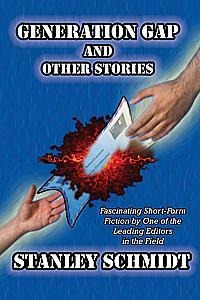 Welcome to FoxAcre Press's Science Fiction and Fantasy Catalog Page. We take great pride in presenting this growing list of top-quality reprint editions of works by some of the most noted names in science fiction and fantasy. 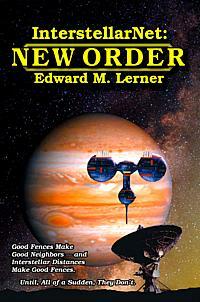 Scroll Down The Page To View Our Science Fiction and Fantasy Titles. If you wish, you can view these two categories separately under our Fantasy and Science Fiction pages. To order copies of any book, simply click on the "Add to Shopping Cart" button. You will be shown your present order. Be sure to visit our Author's Stock/Purchased Stock Section as well to view our many science fiction and fantasty titles available there. To learn more about Orphan of Creation click on the title. Who Dares to Tame the Dragon? When Magic Battles Nature -- Which Shall Prevail? To learn more about The Dragon of Mishbil click on the title. When Liras-ven Tsormelezok set off into his garden that morning, he knew he could claim some sort of royal ancestry-but then, so could most of the rest of the population of Averidan. Therefore, being named King while pruning his klimflower vines was a trifle unexpected. To learn more about The Crystal Crown click on the title. Long out of print, this novel by one of the major voices in contemporary science fiction and fantasy will enthrall you, charm you, and make you care deeply about two of the most engaging characters you're ever likely to meet between the two covers of a book. To learn more about The Prince of Morning Bells click on the title. Life changes for everyone in general--and for physicist Dean Matthews in particular--when astronomers detect a radio signal from a nearby star. First Contact forces humanity to face hard questions, and do it fast. Every answer spawns new questions. Every solution sets in motion a new and more daunting crisis to challenge Dean, his family-and an expanding number of interstellar civilizations-for generations to come. To learn more about InterstellarNet: Origins click on the title. Book Three of the InterstellarNet Saga. Contact with other intelligent races in nearby star systems seemed to have answered the age-old question at the center of the Fermi Paradox: Where is everybody? But that answer just leads to more questions -- questions dangerous enough to get people killed before they can find the answers. 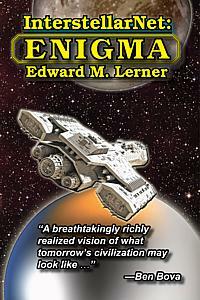 To learn more about InterstellarNet: Enigma click on the title. 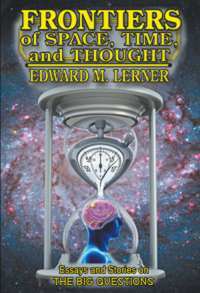 To learn more about Frontiers of Time, Space and Thought click on the title. 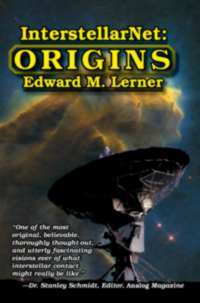 The next chapter in Edward M. Lerner's InterstellarNet saga is a startling adventure of Second Contact, up-front and in-person. Humanity is about to discover that meeting aliens face to face is very different-and a lot more dangerous-than sending and receiving messages. To learn more about InterstellarNet: New Order click on the title. 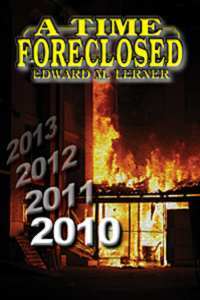 To learn more about A Time Foreclosed click on the title. Get InterstelllarNet: Origins and InterstellarNet: New Order for one low price -- save 20% off the price of buying each separately! To learn more about InterstellarNet: Origins/InterstellarNet: New Order click on the title. To learn more about Moonstruck click on the title. What if First Contact doesn't come the way we expect it-or with the sort of aliens we expect? When both sides have secrets within secrets to keep, how is anyone supposed to know the truth-or live long enough to tell it? Will it turn out to be the greatest discovery of all time � or the biggest hoax? 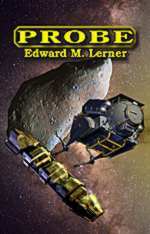 To learn more about Probe click on the title. The challenges are immense, but the rewards could be great. If Vannessa can wrest the town and Castle of Wayenor from the grip of the thieving brigand Black Mayr, then she will claim the title of The Countess of Wayenor. 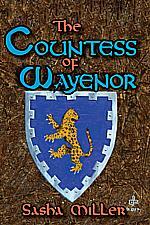 To learn more about The Countess of Wayenor click on the title. Book Two of the Wayenor Saga. It is written that to the victor belong the spoils -- but victory produces threats and dangers, as well as rewards. Vannessa is well-suited to a soldier's life, -- but is she prepared to deal with court intrigue even as a new enemy is at the gates of her city? 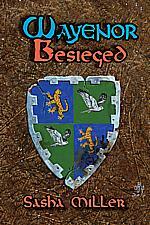 To learn more about Wayenor Besieged click on the title. Traditions are handed down from generation to generation -- but not all traditions are admirable. Real and imagined slights, injured pride, even lust for revenge are all too often part, or even all, of a family heritage. How can Vannessa and and Balon protect their own when their enemies nurse their bitter inheritance in the darkness, hidden even from themselves? 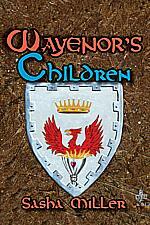 To learn more about Wayenor's Children click on the title. 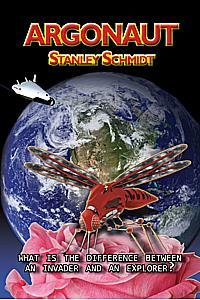 Volume One of Stanley Schmidt's Classic Tale of the Planet in Peril! To learn more about The Sins of the Fathers click on the title. To learn more about Lifeboat Earth click on the title. What is the difference between an invader and an explorer? What if the fate of the Earth depending on a small handful of ordinary people getting the answer right? And what if they they couldn't do that until they first figured out that was the right question to ask? To learn more about Argonaut click on the title. Question: When is a squirrel not a squirrel? Answer: When it's a most unexpected form of alien visitor. 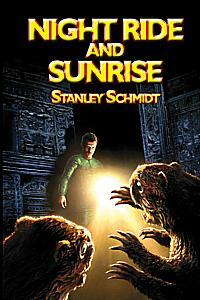 Stanley Schmidt's tale of First Contact will make you smile -- and make you think. To learn more about Tweedlioop click on the title. 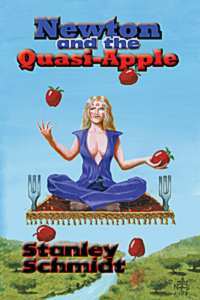 To learn more about Newton and the Quasi-Apple click on the title. Phil Bertrand and Hazel Castagna had striven for years to reach and settle their new world, only to find themselves on different sides when hard choices werwe forced on everyone. Now, without quite intending it, they have the half-unwilling leaders of a group that must find a way to protect humans from aliens -- and, perhaps, aliens from humans. But exactly who -- and what -- are the aliens? To learn more about Night Ride and Sunrise click on the title. To learn more about Sins of the Father/Lifeboat Earth click on the title. A brilliant single-author collection of stories by Dr. Stanley Schmidt, the long-time editor of ANALOG Science Fiction/Science Fact Magazine. To learn more about Generation Gap and Other Stories click on the title. Lawyers in Space! Not the best lawyers, or even the most honest -- but, it seems likely, the most accident-prone. From Venus to Hyperion, from good food made from bad things to an alibi made up of nothing at all, Burmeister and Carver are on the case -- so keep your head down. To learn more about Space Suits click on the title. 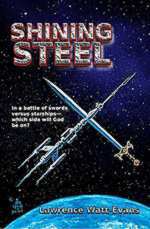 A classic adventure ranging across space and time by one of the greatest science fiction and fantasy authors. Robert Silverberg's 1956 novel of space adventure and time travel returns to print in this FoxAcre Press edition. Includes an introduction by the author. To learn more about Shadow on the Stars click on the title. A good public relations man ought to be able to sell anything -- including a genocidal war! And Ted was one of the best PR men there was. He could take real pride in the job he was doing -- if only his conscience would stop getting in the way. To learn more about Invaders from Earth click on the title. Roy Walton finds himself with the power of life and death over all the people of the world. Now if he can only keep from getting killed... The brand-new Bureau of Population Equalization is lurching from disaster to disaster as it begins its desperate mission to save an overbreeding humanity from itself. But don't worry. Roy has a secret plan. In fact, he has dozens of them! To learn more about Master of Life and Death click on the title. Straight from the pages of ANALOG come the rollicking adventures of Sam Boone, Galactic Hard-Luck Case Extraordinaire. To learn more about Sam Boone Front to Back click on the title. Where did this story come from? Who wrote it? How did it come to its odd underground prominence? How much do we know about its origins? How the hell do you pronounce Grignr? In this special Scholar's Ebook Edition of THE EYE OF ARGON we learn all there is to know, and then some. To learn more about The Eye of Argon for Kindle click on the title. 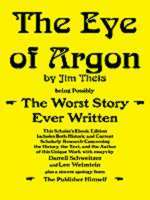 To learn more about The Eye of Argon PDF click on the title. To learn more about Nightside City click on the title. Twenty stories by Lawrence Watt-Evans, written with all the wit and imagination that earned the author a Hugo for Best Short Story. To learn more about Celestial Debris click on the title. Set sail on some most improbable seas with Hugo-winner Lawrence Watt-Evans as he explores the universe of stories set in the past -- stories the couldn't possibly have happened, but probably should have. To learn more about The Final Folly of Captain Dancy click on the title. Bredon didn't mean to interfere with the Powers-but then they interfered with him! When the beings of myth and legend start fighting among themselves, mere mortals had best beware. 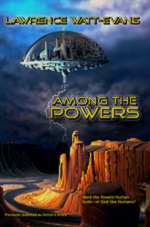 To learn more about Among the Powers click on the title. To learn more about Shining Steel click on the title. To learn more about Realms of Light click on the title. 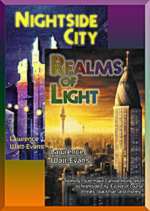 To learn more about Nightside City / Realms of Light click on the title. 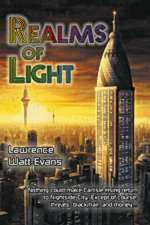 Twenty tales of fantasy, science fiction, mystery, and adventure by Hugo-Winning Author Lawrence Watt-Evans, master of many genres. Includes the Hugo-winning story 'Why I Left Harry's All-Night Hamburgers,' and a new afterword by the author. 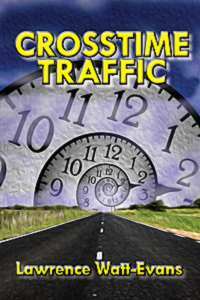 To learn more about Crosstime Traffic click on the title.